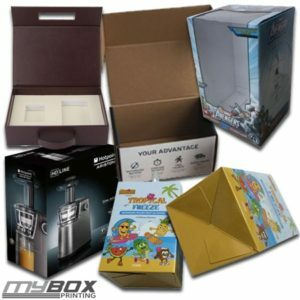 Are you looking to get packaging boxes for a product that you intend to sale or thinking about changing the packaging for an existing product and wondering if the appearance of your product packaging box is important and will have an impact on your sales. Many retailers think that the product and its performance is more important than what the packaging looks like. But sadly they are missing a prominent detail in marketing and ignoring the fact that packaging plays an important role in success of a product. A study shows that many consumers bought something just for the astonishing packaging design even if they’ve never tried the product before. What is the function of a product’s packaging boxes? Main reason to pack a product in a packaging box is to protect it from damage. Packaging does not only protects the product contained during transit from the manufacturer to the retailer or client, but it also prevents damage while the product sits on retail shelves. It depends on how a product is packed which attracts the consumer to take a look on the product as it is displayed on store shelves. That’s why, many companies dive into extensive research on color schemes, designs and types of product packaging that is the most attracting to its target consumer. Packaging also plays an important role for portraying information about the product. Outside packaging may contain directions on how to use the product or make the product and which ingredients were used in manufacturing the product. Thus by strengthening consumer’s trust in product, it helps the consumers to make a decision in purchasing that product. Packaging plays an exceptional role in brand awareness as it contains company names, logos and the color schemes. Custom packaging design helps consumers to identify the product as it is displayed among the competitor’s products on store shelves. The shoppers will identify with the company brand, which propels them to buy the product.